During the last years, the number of GPS tracker and GPS/GSM detection devices has increased considerably. Especially recording units are not disclosed anymore by transmittance. As the GPS devices receive their positioning data from the satellite in the orbit, it is possible to jam the signal in order to provide the required privacy. The PKI 6065 jams both frequency ranges used by military and civil authorities independently of each other. GPS devices camouflaged in a vehicle are cut off from satellite signals so that no recording is possible. The PKI 6065 is also suitable for government authorities and security institutions when undetected control of vehicles and containers is required. 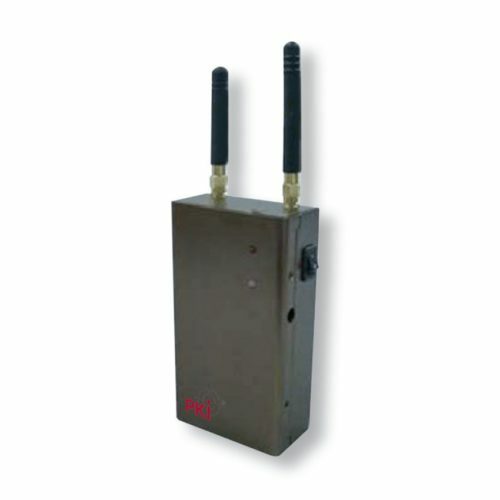 As soon as the PKI 6065 jams the satellite signal of the GPS device, the required object can be moved and controlled without notice.